A conference in honor of Yi-Zhi Huang. 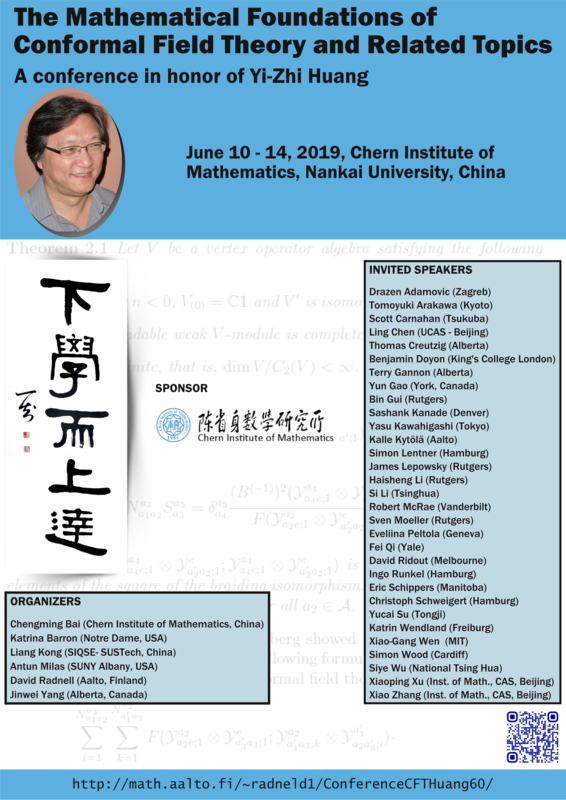 The conference will take place June 10 - 14, 2019, at the Chern Institute of Mathematics, Nankai University. 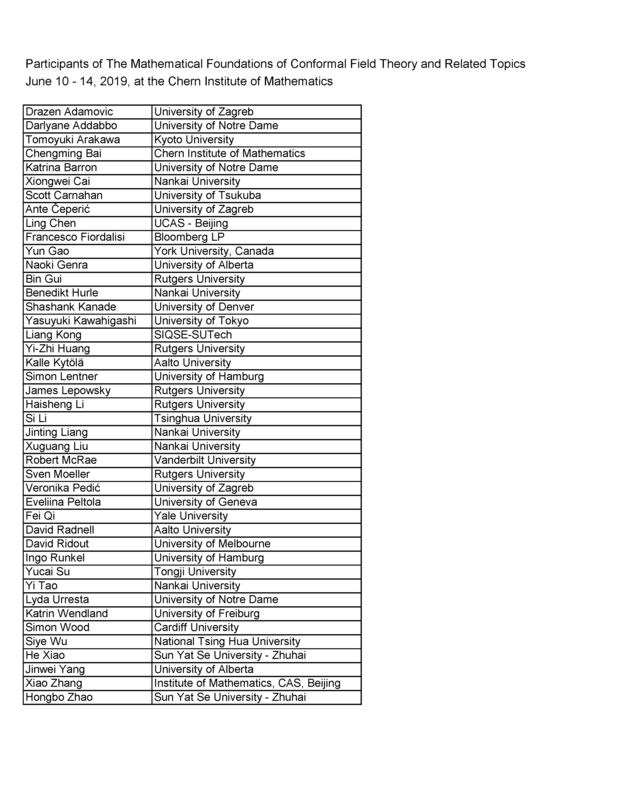 It will feature invited lectures on a broad range of topics related to conformal field theory. For invited participants, a room will be booked for you by the Chern Institute. The default dates are June 9 - 15. 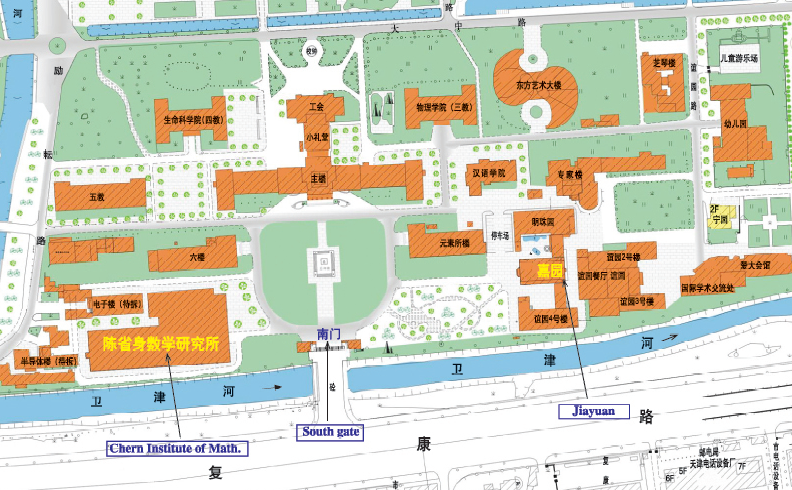 The lectures will take place in the Shiing-Shen Building (Chern Institute of Mathematics). It is a very short walk from the Jiayuan Hotel. 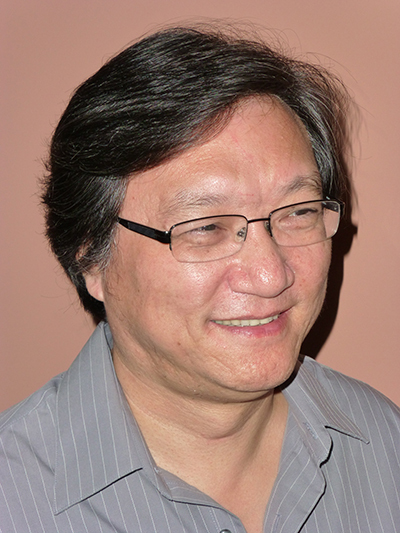 For the purposes of obtaining a travel visa, the Chern Institute will issue you with an invitation. An email concerning this will be sent to all participants in early March, if not sooner. Useful travel info and statements in Chinese. For printing, please use this high resolution pdf, not the image below. This conference is sponsored in part by the Chern Institute of Mathematics.